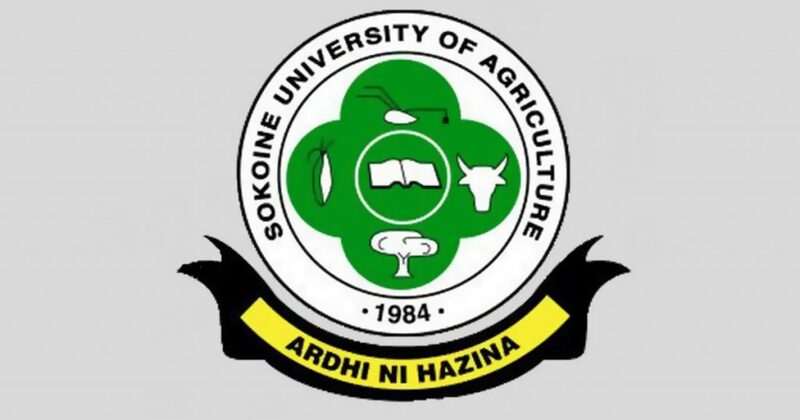 Applications are hereby invited for admission into Higher Degrees at Sokoine University of Agriculture (SUA) for the academic year 2019/2020. Candidates for Postgraduate Diploma, Master and PhD Degree programmes with course work are admitted once every year for an academic year that starts in October of each year. Candidates for PhD by research only and Master of Philosophy (MPhil) may apply and be admitted at anytime of the year. Successful candidates will be notified immediately after consideration and approval is made and they will be expected to embark on studies in October, 2019. Candidates meeting the prescribed minimum qualifications are invited to apply for admission. Master of Business Administration-MBA (Agribusiness): This is a 18-month fulltime programme conducted by course work and an internship leading to examinable Research paper. Master of Business Administration-MBA – (Evening Programme): This is a Part time programme for a period of 24 months. Teaching times are: 5.00 pm to 9.00 pm during week days and 8.30 am to 12.30 pm for Saturdays. MSc. Agricultural Statistics: The programme is offered jointly between SUA and the Eastern Africa Statistical Training Centre (EASTC). Registered students are hosted by the EASTC in Dar es Salaam. Master of Preventive Veterinary Medicine: This is a 12-month programme by coursework and a limited research assignment leading to production of an examinable research paper. Master of Philosophy: The programme is offered by research only for two years on a full-time basis leading to a thesis. Areas of specialization are Virology, Bacteriology, Mycology, Immunology, Entomology, Helminthology, Protozoology, Molecular biology and Pest Management Science. 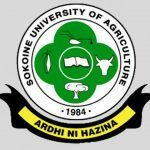 PhD degree programmes by Research and Thesis are offered in all Academic units (School, Colleges and Sokoine National Agricultural Library). Applications for PhD by Research and Thesis are received throughout the year and studies can commence at any time of the year once admission is granted. Applicants must have a bachelor degree from a recognized institution of higher learning, deemed to be equivalent to at least a pass degree of SUA. Such qualification shall be in a subject or subjects relevant to the intended Postgraduate Diploma. Candidates who hold unclassified degrees (e.g. BVM) should have an average of B grade in the subject of intended Master’s degree. Candidates with Pass degree will also be considered for admission if they have satisfied the relevant College/School Postgraduate Studies Committees that they have exhibited academic potential through extensive fieldwork/research experience of at least three years and/or additional professional development courses of duration of at least three months. With the exception of the MPVM and MBA (Agribusiness) degree programmes which are one year and one and half years, respectively, all other Master degree programmes are tenable for two years for full time students and three years for part time students. In the case of full time students, the first year is dedicated for coursework, while the second year is for research and dissertation writing. Applicants for PhD programmes should possess Master’s degree of SUA or relevant Master’s degree of equivalent standing from another approved university in the relevant field. Applicants should submit a research concept note along with the application documents. PhD studies by Research only are tenable for two and half to four years and for 3 to 4 years for studies by Research and coursework, respectively. The duration for part time students is a maximum of six years. Application forms can be downloaded from our website: http://www.sua.ac.tz/postgraduate-application-forms. Application forms can also be requested from the Director’s Office through drpgs@sua.ac.tz or postgraduate.students@sua.ac.tz. Such dully-filled forms can be returned physically or mailed to the undersigned together with evidence of payment of Tanzanian Shillings TZS 50,000/= or US$ 20 for international students as application fee (normal application submitted by 31st May, 2019) or TZS 80,000/=or US$50 for international students (for all late applications submitted after 31st May, 2019). Online application should be made through http://suasis.sua.ac.tz:9092/index.php/welcome. Make sure that all relevant academic and financial documents are attached before final submission is made.